Ubuntu is planning on releasing their very first full-fledged mobile operating system that promises to offer the same features and functionality as its famous desktop compatriot sometime later this year. Till now, Ubuntu have tried to remain tight lipped about the company’s smartphone ambitions but things are about to change now. According to a few sources inside Canonical, the company are planning on unveiling the very first Ubuntu phone code-named “Edge” running on the upcoming Ubuntu OS for smartphones. Canonical have also expressed their desire to merge web apps with native apps that would be a real treat for both app developer’s and user’s alike. The company even takes submissions for system apps, like the calendar and notepad, to give the development community a chance to contribute to the construction of this new platform. 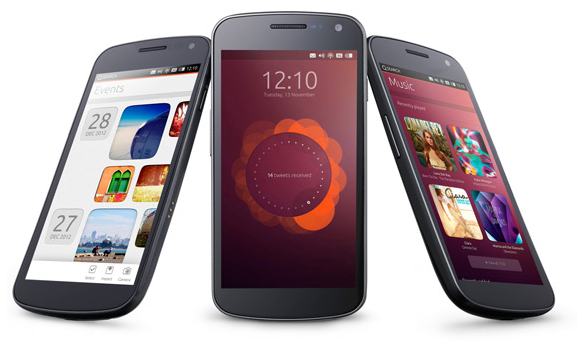 Ubuntu for Phones will utilize a “four edge” philosophy where every edge of the display is significant. From the notification pane at the top to an always-present apps “tray” able to be swiped in from the left, users would be able to navigate all four corners of their particular device’s display to access everything they need. Another interesting feature would be the all new “unique search” experience that allows you to search the web and find the files, apps and media you want without having to tell the OS where to look. There is good news for all Android user’s as well. The new Ubuntu OS can easily be installed on any Android running device without much hassle since Ubuntu is built from the ground up with the help of Intel and ARM and utilizes the same drivers that are to be found in Android making the operating system fully compatible with most Android devices. The video provided by Canonical below gives an in-depth view of what we are to expect from the new operating system that is scheduled to arrive sometime later this year most probably in October. Stick around for more details ! !